50% Off All-You-Can-Eat Halal BBQ Churassco Dinner Buffet @ Halia Restaurant (Sime Darby Convention Centre) for only RM39.44 instead of RM 78.88nett! Assorted appetisers and salads will help gastric juices warm up before tender and juicy mains fill in - Oriental Lamb Leg, German Bratwurst Sausage, Cajun Tiger Prawn etc. 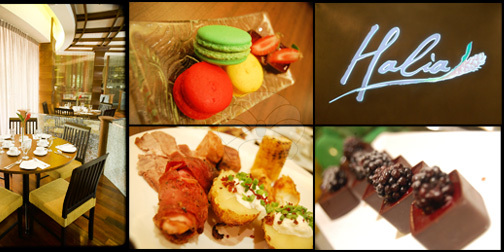 Jog on to a few more stops - Hot Grill, Soups - before settling for the finale; a wide selection of delectable desserts. Visit Halal BBQ Churassco Dinner Buffet @ Half Price deal now!